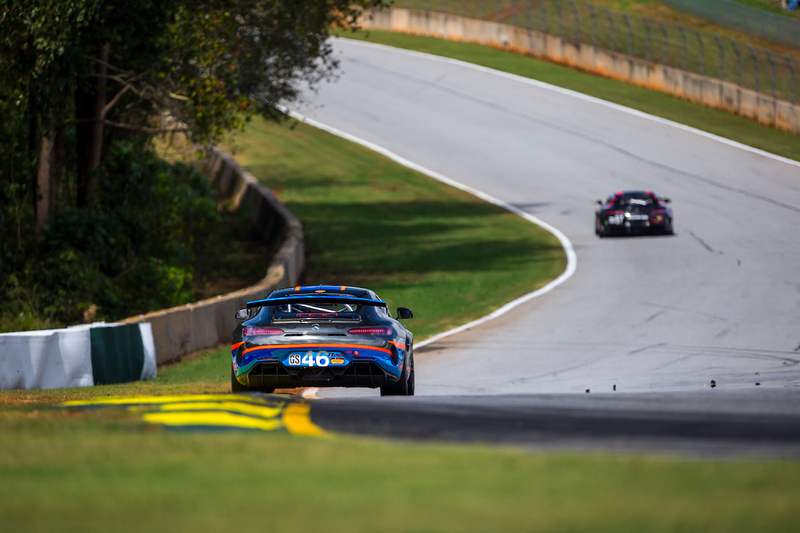 Braselton, Ga. (12 October 2018) – TeamTGM claimed the IMSA Continental Tire SportsCar Challenge GS class championship with the No. 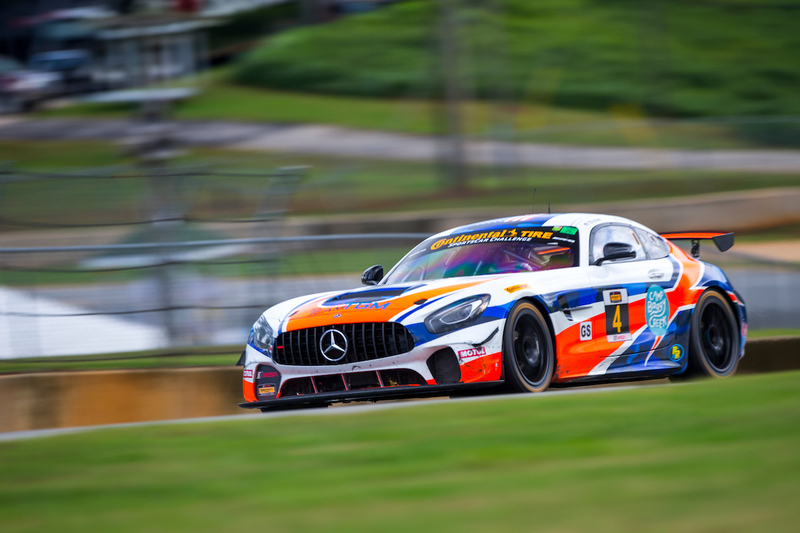 46 Jayne Koskinas Ted Giovanis (JKTG) Foundation / Camp Boggy Creek Mercedes-AMG GT4 on Friday following a steady 11th place finish for Hugh Plumb and Owen Trinkler at the finale event at Road Atlanta. Plumb and Trinkler powered the No. 46 Mercedes-AMG GT4 to the championship with a consistently competitive pace, smart racecraft, and strong support from TeamTGM. That outstanding preparation from TeamTGM was demonstrated by the fact that the No. 46 Mercedes-AMG GT4 was the only entry to complete every single lap of every single race in the 2018 IMSA season, totaling 773 laps over the ten race season. The championship feat was something that team owner, Ted Giovanis, dreamed of even before starting the team in 2006. Giovanis, who races the No. 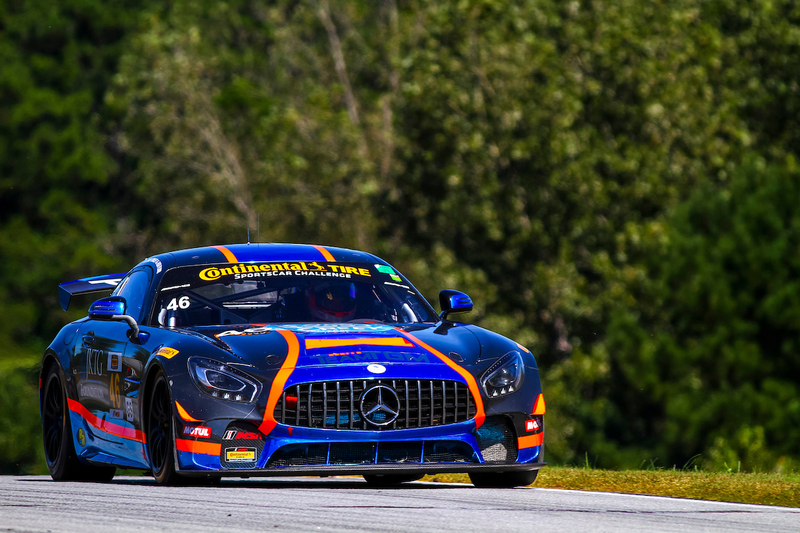 4 JKTG Foundation / Camp Boggy Creek Mercedes-AMG GT4 with co-driver Guy Cosmo, can now add “Championship Winners” to the long list of accolades that the family-oriented race team has earned. The squad raced with the colors of the JKTG Foundation, an organization founded by Giovanis. The foundation challenges conventional methods of cancer research through researchers all around the country. The foundation works to improve the medical field through innovation in research. The IMSA title caps an incredible year of competition for the two-car entry, which scored its first-ever victory in July and went on to score two more victories on the way to the championship. The team has competed in IMSA since 2006. The 2018 season marked many ‘firsts’ for TeamTGM after it took on the brand-new Mercedes-AMG GT4 platform ahead of the 2018 season as the team worked week in and week out to develop a strong understanding with the new and unfamiliar platform. The beginning of the season saw the team get off to an uncertain start with the new platform, but it continued to work to improve at every turn. That hard work saw the team harvest a tremendous result with a thrilling Lime Rock Park victory, the first in team history. The Lime Rock Park victory also marked the first for the Mercedes-AMG GT4 in North American competition. 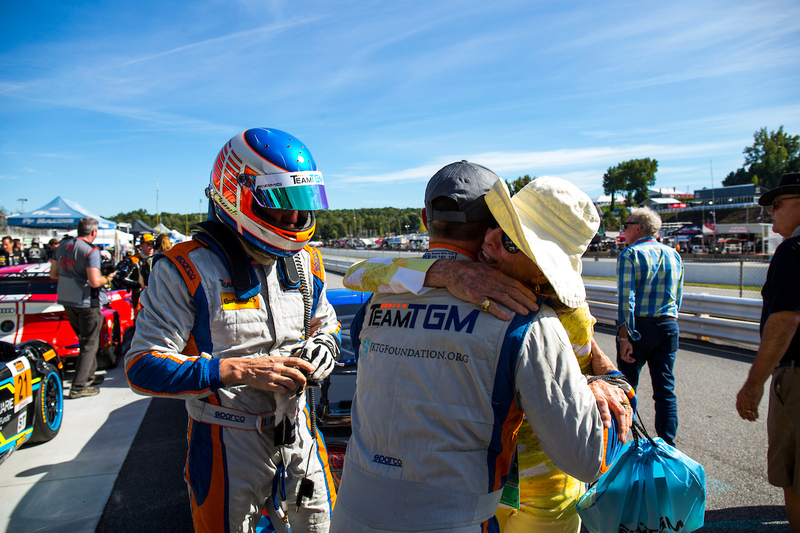 Running that wave of momentum, TeamTGM continued to score three more consecutive podiums, two of which were big wins at Virginia International Raceway and WeatherTech Raceway Laguna Seca. Keeping a level head throughout his debut year with TeamTGM, Trinkler was at a loss for words after confirming the title. home the No. 46 Mercedes-AMG eleventh in the order to confirm the championship title. The sister No. 4 Camp Boggy Creek / JKTG Foundation Mercedes GT4 closed out the day 19th in class after the Giovanis/Cosmo combo rounded out the season with another progressive drive in the two-hour race. The team will celebrate the title on Friday evening as part of the IMSA Championship night at the Château Élan.